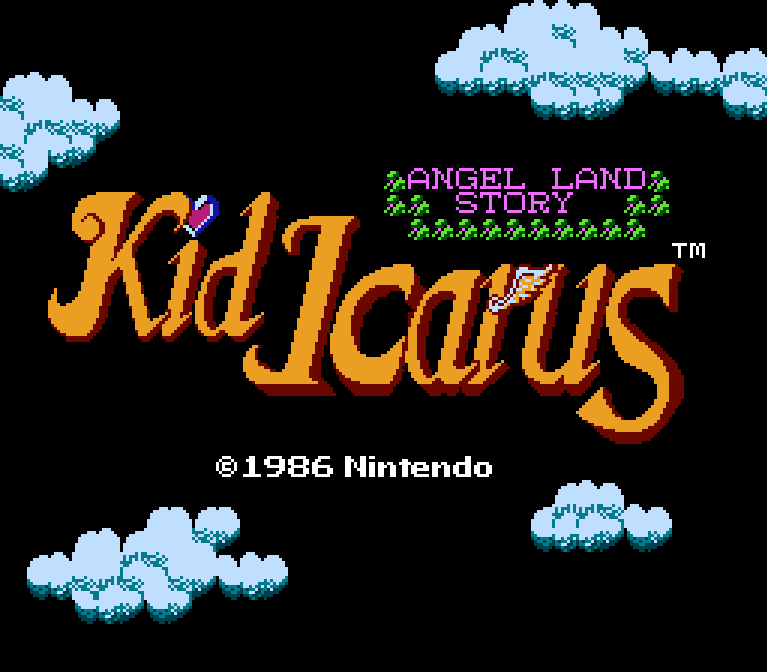 Alright, Kid Icarus. You win. I don’t want to play you anymore. But it has always been the goal of the game developer to balance difficulty with engagement, and the classics of the medium have always succeeded to a large degree at striking this balance. Take the Mega Man series, which combines brilliant level design with tight controls and allows the player to experiment through trial-and-error at finding the correct order in which to defeat the robot masters. 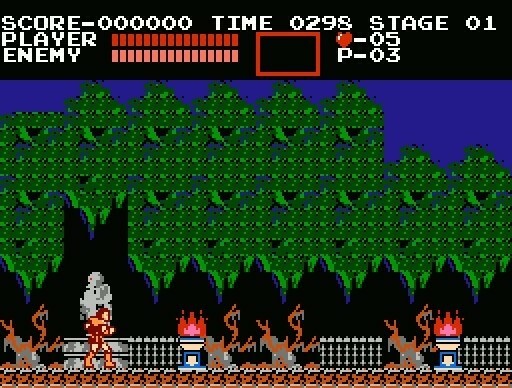 Castlevania, similarly, allows players to prepare for difficult segments by knowing which of the sub-weapons will be most useful at dispatching the enemies (or the boss) they’re about to face. Metroid offers an enormous, open world full of dangers, but promises that each power-up a player collects will be forever preserved so that they can fully arm themselves for further exploration. 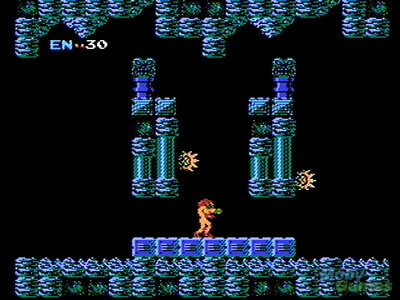 In structuring its progression, Kid Icarus tries to do something akin to what Metroid offers, but with a much more linear environment, far fewer checkpoints, and, you know, none of the aesthetically pleasing aspects of Metroid. It’s an ugly game, is what I’m saying. The game gives you about a dozen checkpoints throughout, one at the end of each of its levels, and all of the progress that you’ve made so far is saved–your items, your hearts (currency), your health, even your experience (and the game does have experience!). The upgrade system, which exists somewhere in between Metroid‘s power-ups and Legend of Zelda’s items, offers you new weapons to purchase as you proceed, as well as means of restoring your health when it’s been depleted. If you’ve killed enough enemies and accrued enough experience, when you begin a new level, you’ll have a larger health bar. There are places mid-level where, if you’ve dispatched enough foes, you can acquire more powerful arrows! It all goes a long way to make you feel like it’s worth it to kill bad guys and be thorough. And this is where the game runs into its major problem, in my opinion. The great paradox of Kid Icarus is as follows: because the game is linear and you can’t go back to earlier levels in a given playthrough, you are inclined as the player to linger as long as possible, killing all the enemies and accruing as much experience as possible before moving on. You want to be prepared when the game gets more difficult in the later levels, right? Unfortunately, the longer you linger, the higher the chance that you’re going to get dinged by some piddly blue serpent or flying octopus, and the larger the odds that you’re not going to make it through to the end of the level. Playing methodically and carefully is actually a risky strategy, because the levels are long enough that your odds of clearing them are relatively low no matter how careful you are. With each run of a level, you are essentially gambling with your time. In my experience with Kid Icarus, I tended to lose. The game is difficult, no bones about it, and for every attempt at a level that I played methodically and patiently, more often than not my reward was that I would lose ten minutes instead of five. It doesn’t help that a single missed jump will kill you instantly (unless you spend some of your in-game currency on “bad jump insurance,” in the form of feathers). 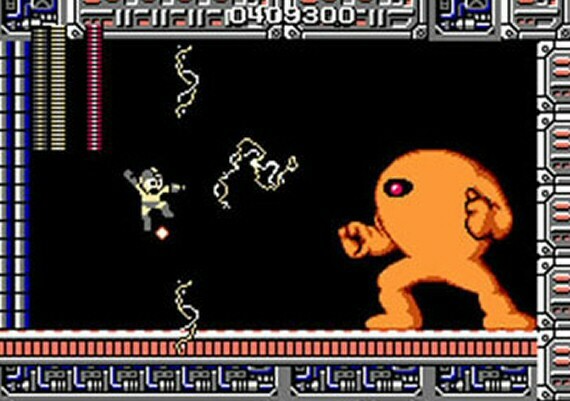 It doesn’t help that the jumping mechanics feel more like the floaty, non-specific controls of Metroid than the pixel-perfect tightness of Mega Man. 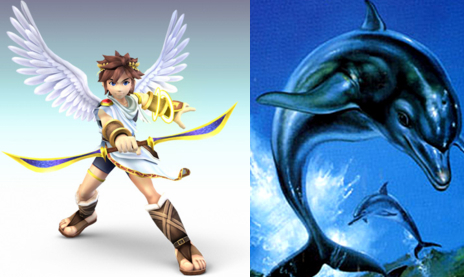 It also doesn’t help that the main character, Pit, sounds suspiciously like Ecco the Dolphin when he takes damage, but that’s sort of beside the point. 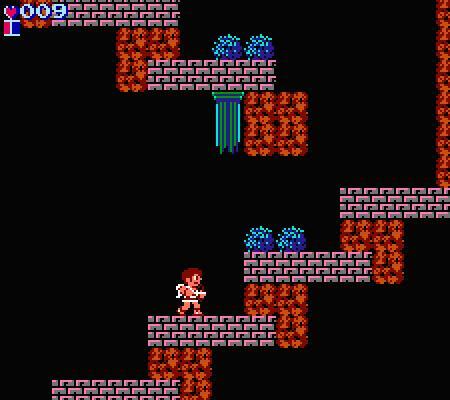 I think, perhaps, that much of my complaint against Kid Icarus stems from the fact that the various systems that make it interesting are done more compellingly, and with better aesthetics, in other NES games of the time. Is it, strictly speaking, a bad game? No. Is it a game that you should go back and play? I’m not going to straight up suggest that you would waste your valuable time playing Kid Icarus, and if you’ve got a childhood affection for it, go crazy! I have a long list of games I love that are of questionable quality, and I certainly wouldn’t let some jerk on the internet disparage my nostalgia. 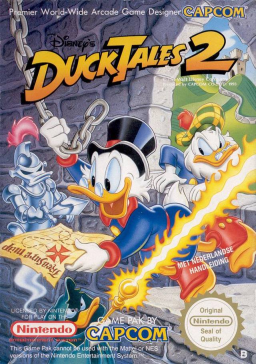 But if you have no previous affection for it, and you feel compelled to do some old-school platforming, might I make some other recommendations? Do you have a hankering for a game where you jump around a lot and shoot things? In that case, may I suggest Mega Man, a series with six entries on the NES? It has tighter controls, better level design, and far superior music than what you’ll find in Kid Icarus. Would you like a game in which there are many power-ups to collect and several kinds of weapons and items with which to destroy your enemies? You should probably play Metroid, if you haven’t already. Are you in the mood for a difficult platformer that rewards you for being careful and thoughtful, that has enemies flying at you from all directions and jumps which will kill you instantly? There are three Castlevania games for the NES, at least two of which are superb. Even if you’re familiar with the original, if you haven’t tracked down and played through Dracula’s Curse, you’re really missing out. Do you simply have to have a game that’s exceptionally brutal? 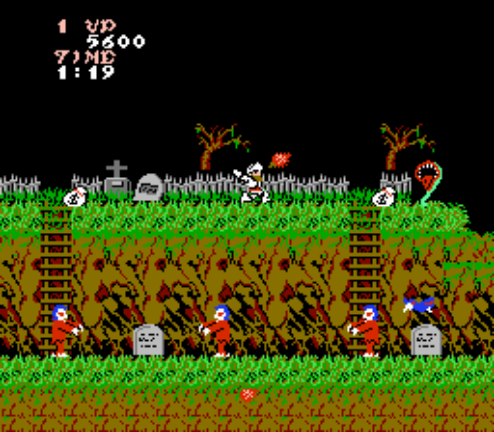 You should treat yourself to Ghosts ‘n’ Goblins. You’ll be up against an onslaught of enemies that are near-unavoidable, and you’ll die after only two hits. If you’re lucky, you might even make it to the second level! In my opinion, if you’re going to have your spirit broken, you might as well have it broken by the best. As someone who aspires to be “well played,” I’m glad that I have gone and finally spent some time trying to wrangle with Kid Icarus. But you know what? Now that this blog post is over, it’s going to go back on my shelf, and there it will probably remain. Your mileage may very, but my advice is to pass this one over for another. weblog and I’m impressed! Extremely helpful information specifically the last phase 🙂 I deal with such information much. I used to be looking for this certain info for a long time. Thanks and good luck.